Madhya PradesH Professional Examination Board [MPPEB] or VYAPAM has invited applications from eligible candidate to apply ON-LINE through website http://peb.mp.gov.in/e_default.html for post of Jail Guard (कार्यपालिक) in Jail Department 2018. 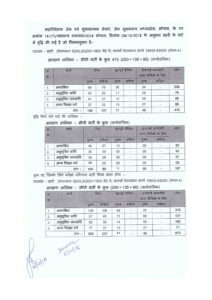 MP Jail Guard result 2018 declared now. Applicants required to pay fees through online using internet banking/debit card/credit card OR go to nearest MP Online Kiosk. Written Exam: General Knowledge, Hindi, English, Maths and Scienc of 100 marks for 2 hours.